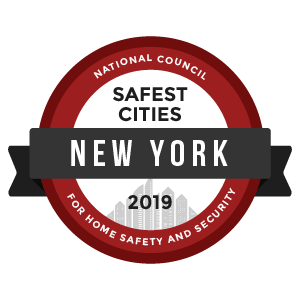 New York – The state needs little introduction, being nationally and globally famous for its largest city of the same name. One of the original 13 colonies, New York became a major entry point for immigrants to the developing US. Although New York City is the most populous in the US, upstate New York is mountainous and famed for its scenery and recreational facilities. The population of 19.5 million makes New York the 4th most populous state overall, and the 7th most densely populated. From the 19th century, NYC and lower parts of the state became an industrial and financial powerhouse. Wealth today is generated from financial services, manufacturing, entertainment and tourism. 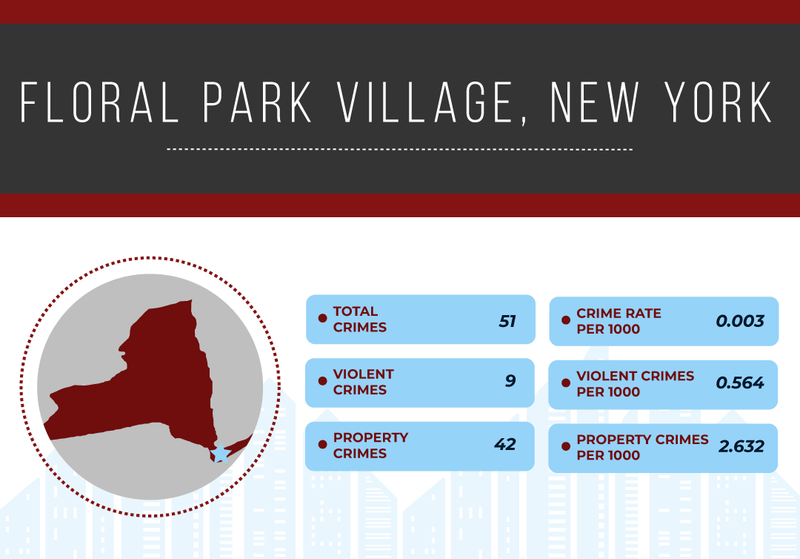 New York’s violent crime has a ratio of 0.67 against the nation’s average with 2.34 crimes per 1,000 against the US’ 3.47. 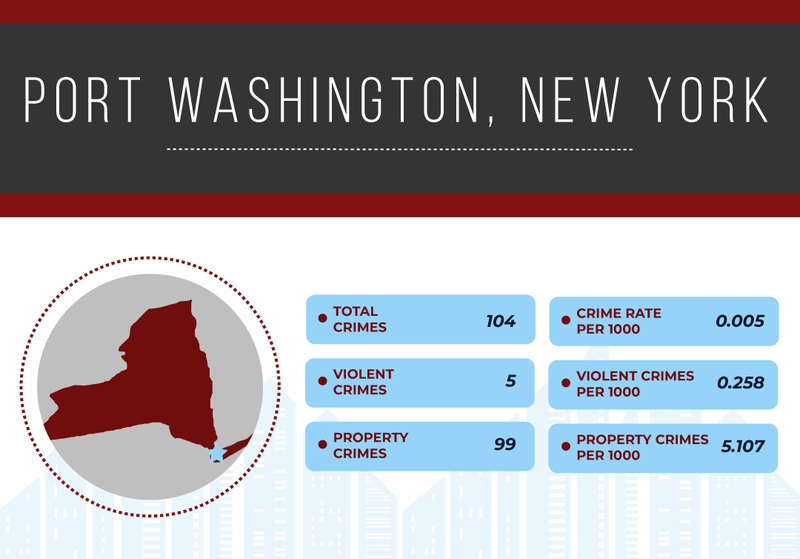 This makes it the 13th safest state for violent crime. 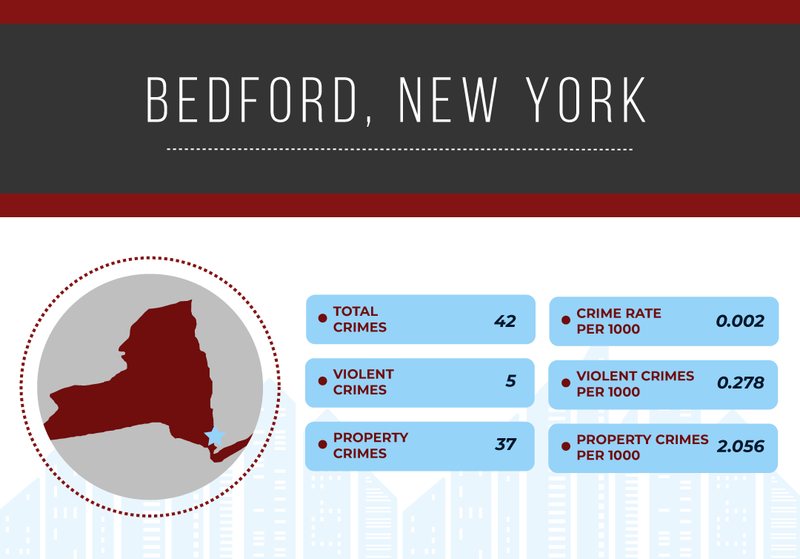 The state’s property crime levels are well below national levels, being 17.64 per 1,000 compared to the national average of 40.43 – giving a ratio of 0.44. 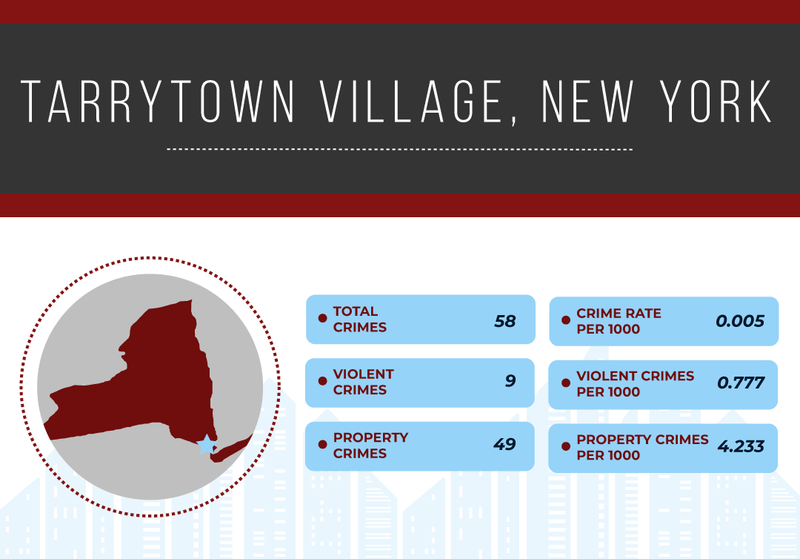 To identify the safest cities in New York, we reviewed the most recent FBI Uniform Crime Report statistics. A total of 7,639 cities were factored into this ranking with populations ranging from 7,639 to 4,007,147. However, we eliminated any cities that failed to submit a complete crime report to the FBI and removed cities with populations under 10,000.